REBOOT FEVER! Comics Sales Hit a 20-Year High – Dork Forty! 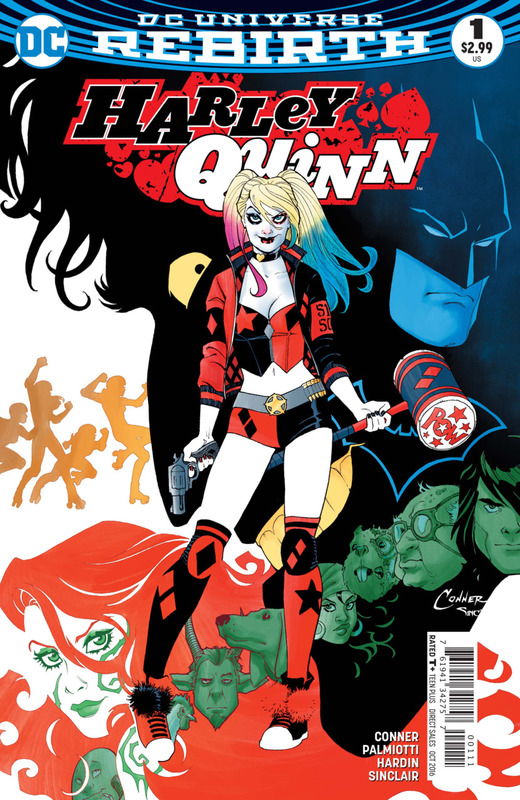 Harley Quinn, who was the lead character in four of the top ten best sellers in August, including the best-selling book of the month. But we’ll get back to Harley later. First, let’s look at the raw data. You can get a very clear-eyed and detailed run-down of the record-setting August numbers from John Jackson Miller at Comichron, the usual sensationalist-yet-insightful analysis from Bleeding Cool, and a further Bleeding Cool breakdown of the sales data, complete with a list of the top 100 comics for the month in question. A lot of different factors went into setting this record. August was a five-week month, for instance. And many of the top books were returnable, which always encourages retailers to take chances they normally wouldn’t. Every DC Comics title also had at least two covers, and there are always completists out there who are going to buy both. But the biggest factor, of course, would have to be that DC Comics is in the middle of a line-wide reboot, which always spikes sales as they catch the interest of curious readers, speculators, and people outside the regular comics-collecting community who automatically think that a new Batman #1 is a solid investment for their kid’s college fund. I think there may actually be more people reading comics. This is a shocking claim, I know. But I think it’s true. Why? Well, consider this little tidbit from the Bleeding Cool piece: even though Marvel Comics got creamed in market share for August, posting only one book in the top ten, and only three in the top thirty… Their sales were up more than 40% from the same month last year. Forty. Percent. In most businesses, that kind of gain is cause for celebration. In print publishing, it sounds like divine intervention. Comichron also indicates that sales are up for many of the smaller publishers, as well. What that tells me is that this isn’t just the same small pool of readers shifting their funnybook dollars from Marvel to DC, or even those same readers spending more money to see what Rebirth is all about. The numbers are too big for that. So I’m thinking… Yep. There’s new people reading comics. Insanity! But I can only assume that all those movies and TV shows we’ve been getting have finally, after all these years, gotten people interested. The super hero has, at this point, hit a critical pop culture saturation point. Major media corporations have put major marketing money behind the super hero, and they’ve done it big enough, for long enough, that super heroes are part of the mass consciousness again, in a way they maybe haven’t been since World War II. 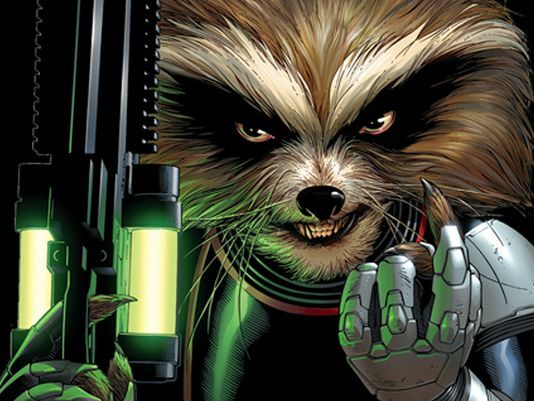 Rocket freaking Raccoon is now a household name. If that’s not saturation, I don’t know what is. Alright. That’s enough raw analysis. Let’s take a look at what books actually sold, and what that says about where the industry (or at least the super hero comic) is right now. DC Rebirth, as I said, dominated the charts, and it did so in a way that DC’s last reboot (the New 52) was unable to do. What’s different this time? More successful marketing. 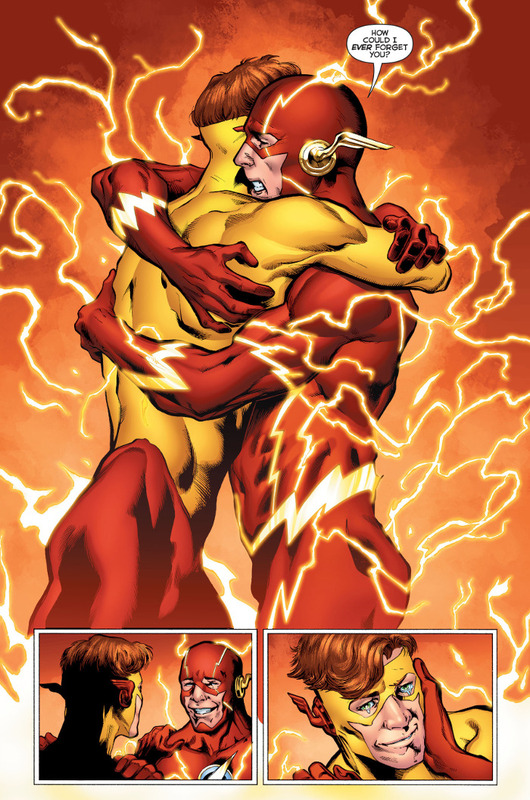 They sold the New 52 as a new beginning, a fresh start, an updating of their entire line for the 21st Century. They were hoping, it seemed, to attract new readers, gambling that their core fanbase, the funnybook lifers, would come along for the ride. But it seems they were maybe five years (or at least a couple of TV shows and major motion pictures) too early for the new readers, and much of what they did upset the lifers so much that they stopped reading. Rebirth, in contrast, seems to have captured the best of both worlds. It’s being sold as a return to the versions of the DC characters that long-time fans know best, at a time when Marvel is passing the mantles of their most popular properties on to new characters who are younger, less white, and more female. So DC has pleased the core fanbase of aging white dudes (still the backbone of comics sales), and at the same time, they’ve drawn in new readers by also selling Rebirth as a return to optimistic tales of heroism. That seems counterintuitive in the comics industry, where grim edginess has been just about the only thing that’s sold for the last 30 years. But out in the wider world, optimism is becoming fashionable again. Times are hard. People are scared. And so they turn to their entertainment for comfort and reassurance. And Rebirth, thus far, is managing to deliver that, while not being cloying and fake about it. Well… Not most of the time, anyway. Ahem. But also? They’re publishing more comics about women. You know, that half of the human race that the comics industry has seemingly spent half a century going out of their way to alienate? Well, I know more women who read comics now than I have at any other point in my lifetime. I can’t imagine I’m unique in that, and the August sales figures seem to bear me out. I mean, look at that Top 100 list. Half of the Top Ten comics featured female leads. Eleven out of the Top Thirty either had a female lead, or featured women prominently in ensemble casts. Wonder Woman outsold Star Wars. Batgirl outsold Darth Vader. SuperWOMAN outsold SuperMAN. 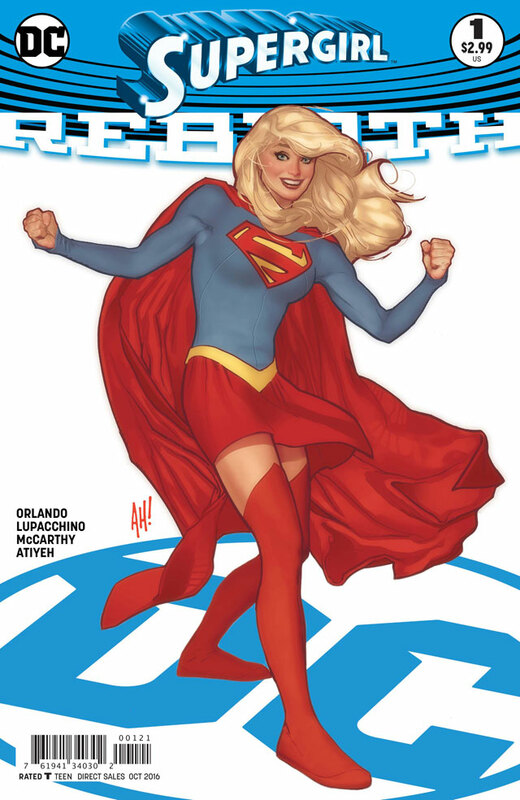 And so did SuperGIRL, whose new first issue was the tenth highest-selling comic in August. 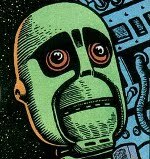 A character they haven’t been able to make work for more than 30 years! Then suddenly, somebody does a good take on her in a medium that the female audience actually engages with (which is to say, television), and BOOM! She’s a top ten hit! 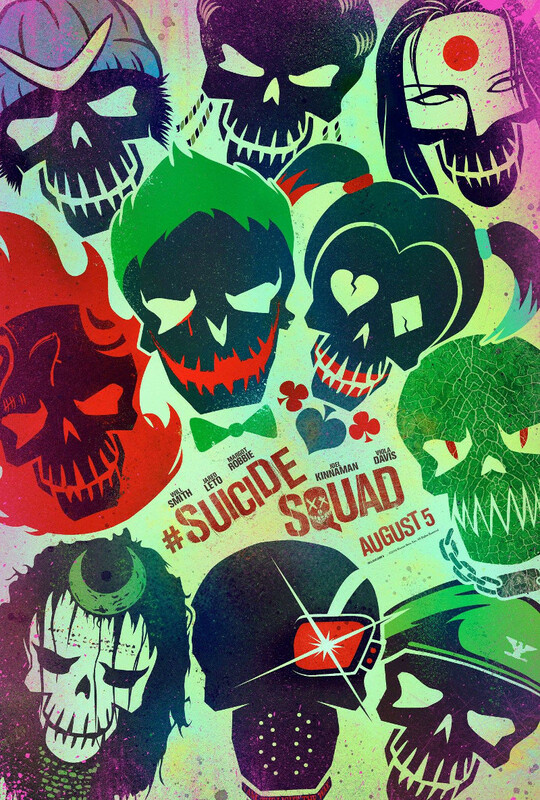 …I think it’s safe to say that Suicide Squad sales are mostly down to Mistah J’s favorite henchman, too. So, yes. WOMEN! Women ruled comics in August. Or at least, they had a much greater impact than they’ve had in many a moon. Now, this is not to say that women only read comics about women. Or that the traditional white male fanboy never reads comics about women (nothing hits that Diamond top ten without at least SOME fanboy support). But, c’mon. I don’t think I’ve ever seen a time when this many books starring women did this well. And that’s a very good, very healthy thing for the comics industry as a whole. The question now becomes, can they sustain it? Not just the books with female leads, but the sales boom, and Rebirth itself? Obviously, sales are going to normalize as Reboot Fever dies down. The people who just came to invest will move on, and the shock of the new will wear off. Still, it’s probably a good sign that they popped this record not in the first month of the reboot, but the second. Batman, for instance, was on its fourth and fifth issues in August, with a second wave of new number ones following in its wake. So they popped these numbers a full month after the comics that were likely to spur the biggest speculation frenzy came out. I’d say that indicates that Rebirth has some staying power. That it’s not only speaking to its audience, but growing it, too. Of course, I can’t help but wonder if that bi-weekly schedule isn’t going to hurt them over time. I mean, it’s certainly paying off big right now. You can fill up the Top Ten fast when you’re releasing two issues of your core titles every month. They’ve managed that schedule well, too; most of those books have thus far had consistent creative teams telling focused stories that don’t feel rushed out just to meet deadlines. That’s important to a comic’s success, and if they can keep it up, the bi-weekly thing might work. But if the quality slips, I have to wonder how long it’s going to take for readers to start thinking twice about how much money they’re spending. Granted, I’m bound to be cynical about quality. I haven’t been a big fan of Rebirth in general. I’m fine with the aim of publishing optimistic hero stories and all that, but I thought the one-shot that launched it was awful. And while some of the individual series have intriguing concepts, I haven’t thought the comics themselves were actually very good. Even the one Rebirth title I was reading (Tom King’s Batman) has wound up feeling like a compromised bit of corporate drudge-work, so I’m done with it. Marvel’s still putting out the better work-for-hire licensed franchise comics as far as I’m concerned, and I’m not even buying any of them. Hell, I’m not reading ANY corporate spandex comics at this point. Of course, that puts me well outside the ranks of the people who are turning all these books into hits. So what do I know? At any rate. Regardless of my personal opinion on all these hit titles, I’m still glad to see them doing well. I want comics to do well. I want more people to read them. Even if they’re reading stuff I don’t particularly like. Because, hey. The more people who read comics, the more likely they are to keep making the things. And who knows? Some of these new readers, once they get settled in and start looking around, might just decide they like the stuff I like, too. And wouldn’t that be nice?